Switzerland’s 165-year-old luxury brand Bally is returning to India in a joint venture with Reliance Brands Ltd, with plans to open its first store at the DLF Emporio mall in New Delhi in March 2017. Under the terms of their agreement, the joint venture will invest in building a world class retail experience by investing in training of staff and opening stores. Bally is the latest addition to the Reliance Brands portfolio which includes Steve Madden, Thomas Pink, Brooks Bro’s, Diesel and Super Dry. 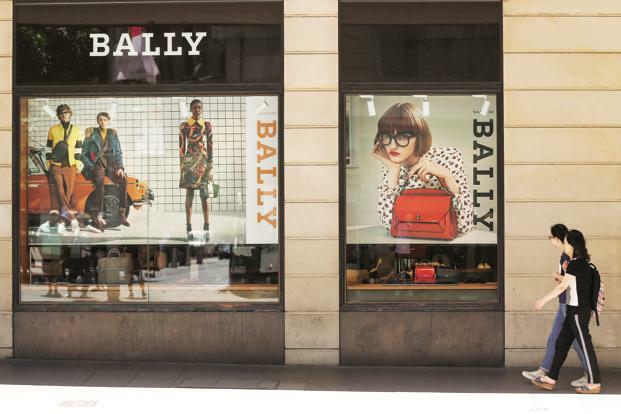 The company will establish a network of stand-alone Bally stores across major Indian cities. “In the future, India is the most important country for us. We want to invest and develop the brand in India,” said Frédéric de Narp, chief executive officer of Bally who took charge in November 2013 to turn it around. “Part of this turnaround strategy is the joint venture in India,” said de Narp, who is credited with the successful turnaround of American jeweller and watchmaker Harry Winston Inc.
Bally first entered India in a franchise partnership with Bird Group, which has interests in travel technology, hospitality and aviation. It had two stores in India, one at the Palladium mall in Mumbai and the other at DLF Emporio Mall. Both these stores have closed in the past two years. The partnership was ended earlier this year. This time round the company has spent a few years finding the right partner and fine-tuning its strategy for India. “We have been working in developing this joint venture by developing the trust for the last few years,” said de Narp, adding that more importantly, the joint venture is with Reliance, a profitable company and a reliable retailer. In India, Bally will sell its entire range across men’s and women's footwear and accessories. The new store will be part of the brand’s global expansion which has seen the opening of two new concept flagships in Tokyo’s Ginza and Los Angeles’ Rodeo Drive this year. The joint venture will open four stores in Delhi, Mumbai, Kolkata and Chennai in the next 3-4 years, said Darshan Mehta, chief executive officer, Reliance Brands. In its previous partnership, Bally which is part of JAB Holding Company, a privately held group known for its brands like Jimmy Choo, Krispy Kreme and Belstaff globally, “had underestimated the challenges in investing in India,” admits de Narp. “Franchise is a challenging model,” he added. De Narp is looking at investing this time to build a healthy and sustainable business in India.